~ Social Alchemy: There's Magic in here…. Craftastic! Transforming $14.99 into — Hello Gorgeous! Hi peeps, sorry the blog has been quiet of late, but I’ve been churning away on the Work in Progress, more news of that later. And here’s some news about me, when I have the time (ha!) I do like to do me some craft projects. So, every now and then it’s fun to take up some other kind of creative project for a change of pace and because, well, I’m cheap. Hubster and I will be traveling soon and we will be attending a big time Black Tie Affair, so I needs to be dolled up for the event. The dress is bought, as are the earrings, but I was worried about the Shoes. I don’t do heels, my feet won’t let me wear them, so the dilema: finding a great pair of flats that fit with the dress. Here is how I started, I bought these earrings just because they are great and were on sale. Then I headed to my favorite shop for the budget conscious, it starts with an “R” and ends with to “SS’s” and found these, they are sortof a gladiator style, they are comfortable, which is a must, but they had these really ugly black beads very sloppily sewn to the top. You cant’ see it in the photo, but they were sewn on with some fishing line. I realized I could cut off the ugly beads and replace them rather easily, as the shoes cost all of $14.99 so if I screw up it won’t be that bad. I got the shoes home and then scrounged around in my bead supply basket, and lo and behold, I came up with some floral filigree things that look an awful lot like the earrings. So, off with ugly black beads and I started stitching them on. The shoe leather was pretty soft, so it went easily. So far, so good. I needed to figure out how to line them up along the top and fill in the rest so it would look unified. I’m pretty happy with how they came out. I don’t expect to wear them all that often, but I’m very pleased with the result. Whattay think? New pedicure tops off the look. Okay folks, what do you think? Would Cinderella be caught in these? Should I worry that the Fashion Police will come knocking on my door, giving me a citation for messing about? I love hearing from you, let me know if you have ever tried anything this goofy. Cheers! Wow, fantastic, Rachel. I’m amazed at what a different some imagination — and a few beads — can make. Enjoy your new shoes! Oh there will be photos, don’t you worry. Thanks for stopping by. How lovely and how creative are you? Do you know that this behaviour is typical of novelists? Yes! Even Nora Roberts dried flowers etc. Have a great time and we want pictures of you dancing naked on tables. I think we need to exercise our brains in all sorts of ways to keep it fresh. Wonderful makeover! Cinderella would fight you for those shoes. Thanks, Patricia. I think she’d go for them because they are cute and actually comfortable to wear. Thanks, and I even saved the original beads for some future project… recycling is a good thing. Hi ElieAnn, no, they don’t jingle per say, but I did want them to be able to move when I walk, so they do catch the light. Thanks for stopping by. Let’s see if this comment takes, and by the way, great shoes. Amazing! What a creative person you are! meh, I do what I can, it’s called, “value added” snark, snark. Hooray Rachel! We did it! This blogging thing does have its headaches! Anyway, as I tried to say earlier, you are a pretty handy, crafty princess girlfriend! You’re going to knock them out with those accessories! But what does the dress look like is what I want to know! karen, I’m so glad to went to all the trouble to make a comment, I will post photos of the entire outfit, no worries. You are the best, cutie. August! Thanks so much, you should have seen all the jewelry I made for my wedding: necklaces and earrings for me, my maid of honor and just the cutest bracelets for my triplet flowergirls. I should drag those pix out some day. Thanks for the encouragement. I love to shop at Ross, too! What a fun project and I love the results! You done good. If I didn’t write, I’d be doing crafts all the time. In fact, I did do crafts all the time before I started writing. Gave up crafts for years. Then at a writers meeting one day, one of my friends shared photos (on her cell phone) of altered art books that a couple of the presenters/speakers at a writers conference showed everyone. They looked so cool that I had to give it a shot. It’s so much fun, so calming and I get lost in it. Your shoes remind me of altered art. Super cool, Rachel. Thanks Lynn, I recall a study some time ago that said if you engage in some form of simple work, like washing the dishes, or walking the dog, it lets the creative part of your brain mull over problems and come up with solutions. So that’s the fun of “crafting” in that working with your hands lets your head work too, and in the end you have great shoes! Thanks so much for stopping by. Social Alchemy: is my version of the digital salon. Where interesting ideas are bandied about, where opinions are appreciated. Where all that makes life interesting: art, creativity, writing, love, and compassion are explored in many facets. And it's also a place to come and relax. When you want to turn off the digital noise, kick back, relax, and just be yourself. Thank you so much for visiting. 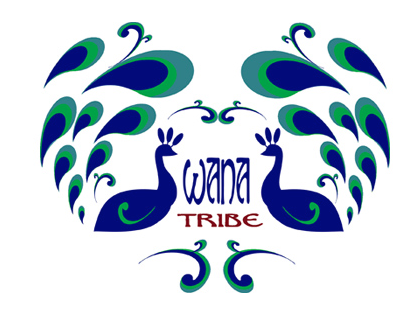 Writing Matters: We Are Not Alone: WANA’s Rock! Social Alchemy is a an island of inspiration in a sea full of digital snark. Thanks for stopping by, hope you had some fun. Reflections on the human experience.